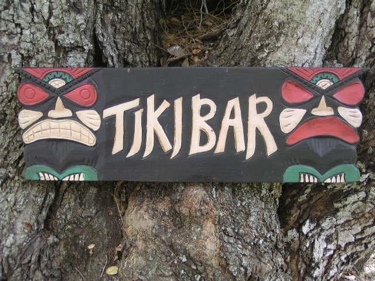 Here is a hand made Tiki sign TIKI BAR each letter of TIKI BAR is raised (hand carved) along with the 2 Tikis at each extremity. This great piece of handycraft measures 24 inches long by 8 inches wide (60 cm X 20 cm). Great gift idea! 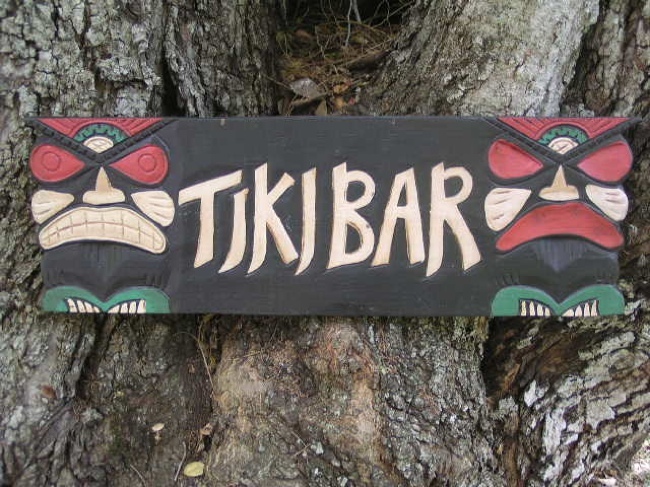 Perfect for your home decoration or your outdoor living area!